At E.J. 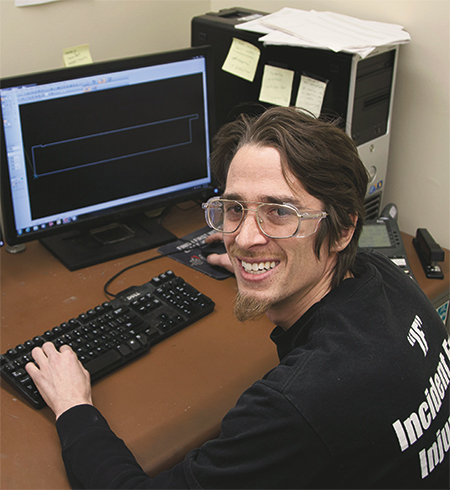 Ajax and Sons, a third-generation precision metalforming company located in Fridley, MN, a partnership between an experienced master tool and die maker from the Baby Boom generation and a Millennial manufacturing intern is leading to customer-focused cost-cutting innovations. In many s, Paul Swirtz, the Baby Boomer (and former owner of his own tool and die company), and Talon Ganz, the Millennial, are true representatives of their respective generations. Paul Swirtz, former owner of his own tool and die company, is a Baby Boomer—goal-driven and self-managed. • Boomers (born before 1965): Driven by work and career; goal-driven and self-managed; prefer in-person communication; sometimes challenged by technology. • Millennials (born between 1982 and 2001): Focused on work-life balance and flexibility; value feedback; want challenging and meaningful work with rapid advancement; technology-savvy. Despite their differences in age and experience, Swirtz and Ganz joined the company at roughly the same time. E.J. Ajax acquired Swirtz’s tool and die operation in 2012 after a 30-yr. relationship as a trusted tooling supplier. Although not ready to retire (characteristic of Boomers), Swirtz was ready to focus on his tool-building and design expertise and leave the sales, marketing and business details behind. E.J. 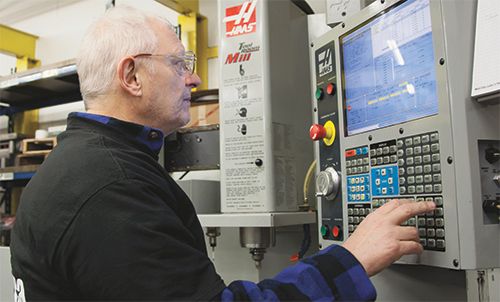 Ajax was in need of expanded inhouse tooling capability to reduce lead times and better-manage costs for our customers. Meanwhile, Ganz was one of the first recipients of the E.J. Ajax Scholarship in Manufacturing at Dunwoody College of Technology, which our company created to help address the shortage of skilled workers. We sought to place our company in front of the best and the brightest of today’s post-secondary students. In addition to covering one semester of tuition and fees, we offered scholarship recipients a full-time paid internship during school breaks, and a few hours of work per week during the school year. Ganz immediately expressed an interest in tool and die making. Talon Ganz, the Millennial—focused on work-life balance and flexibility, and in search of challenging and meaningful work. On the other hand, Swirtz readily accepts Ganz’s help in learning 3D drafting technology. The two punch out of second shift at 7:00 p.m. and spend time together working on SolidWorks designs. But this is much more than just a heart-warming story of two generations connecting. E.J. Ajax is a for-profit metalforming company in a highly competitive global marketplace. Acquiring Swirtz’s company, funding Ganz’s scholarship and putting the two of them together all were strategies to support the growth of the business. Those moves already have paid off. Early in 2013, a long-standing customer came to us with an opportunity to land a complex multi-million dollar stainless-steel project. But the company had to meet a very tight deadline. Our first estimate for designing and creating the tooling and producing the production stampings was a deal-killing 12 weeks. With an innovative, turnkey tooling design born from generations of experience turned into 3D models that could be outsourced for quick production, we reduced the 12-week lead time to less than six weeks. Our customer landed the job, and as a result our two companies will benefit for many years to come. Article submitted by Erick Ajax, vice president of E.J. Ajax and Sons; www.ejajax.com.